Me: What is on your fall wish list? What I like about this look: It is a mix of a lot of things, with a focus on color. Julie often has a bolder vibe than I do, but walks the fine line between DC conservative and bohemia. What do you think, Jules? 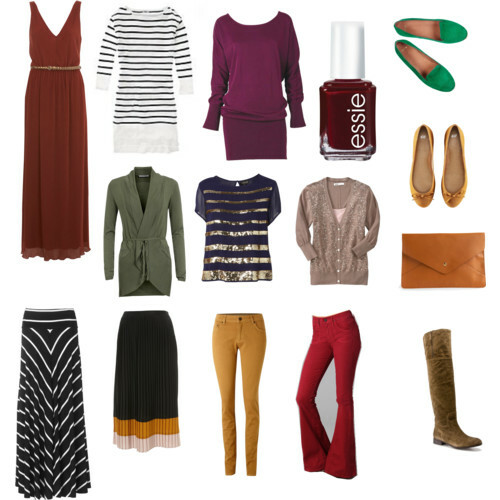 This entry was posted in Accessories, Budget, Fashion Inspiration, Her Closet, Jewelry, Shoes, Shopping, Uncategorized and tagged colored denim, fall fashion, fall fashion wish list, fall shopping wish list, fall style, fall trends, sequin stripes, stripes for fall, suede boots. Bookmark the permalink.